It's a quandary every parent faces: how do you let your child embrace technology while making sure they don't wander off into the deepest darkest corners of the internet? 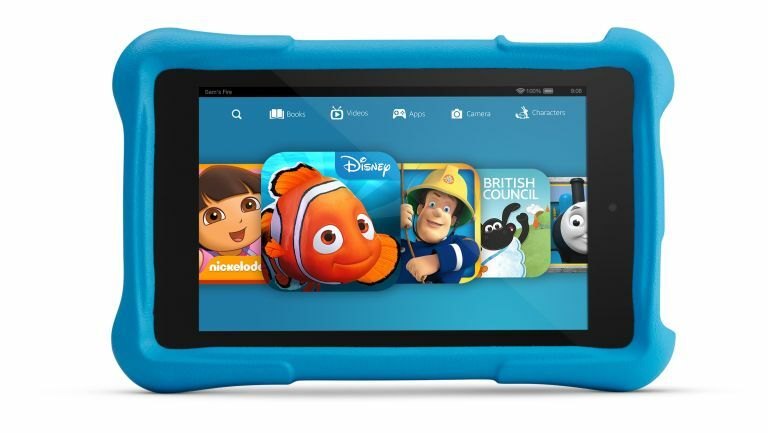 Amazon thinks it has the answer in the form of theKindle Fire HD Kids Edition. It launched in the US late last year, but is only now available to pre-order in the UK. It's the standard 6-inch Fire HD tablet with a rubberised case protecting it from drops and chucks across the room. Amazon is so confident it's childproof that if your kid breaks it within two years of purchase, the e-tailer will replace it free of charge. On the software side, it looks pretty bulletproof. It comes with a year's free subscription to Fire for Kids Unlimited – this gives you unfettered access to all manner of kids' apps, e-books and videos. It bans' apps that carry adverts and in-app purchases, making sure the little'uns aren't sold to or able to cost you a fortune. It includes apps from Disney, Nickelodeon, Toca Boca, Oceanhouse Media and Dr Panda. You can browse by character and theme as well as by e-book, video and app categories. It also lets you set time limits for the child's screen time, block entertainment, and make them read e-books for a certain amount of time before playing games or watching videos. And it blocks web access altogether, unless you unlock it. Once the year's subscription expires, Amazon Prime members will have to pay between £1.99 and £4.99 a month, while non-members will cough up between £3.99 and £7.99. Of course you don't have to take out another subscription. But pester power may mean you do. Fire for Kids Unlimited is also available on Amazon's other tablets, so you don't have to shell out for a whole new slate to get some of the benefits. Suppose it comes down to how much you trust your child with your tablet.